With her pen in her left hand, never her right. Her stories were rich, her ideas would grow. Everyone knew he was tough and quite tricky. Sprawled over the desk his left hand clenched tight. His astonishing wealth of stupid ideas. From staring at Ricky’s humongous behind. Was just grateful that Ricky remained occupied. One day Little Laura sat down on the left. Then Ricky arrived and looked vaguely bereft. Was confusing for Ricky and a matter of pride. It’ll work just as well for you as for me”. He took the new seat, fists flexed for a moan. The girl had a point, his right arm felt free. And Ricky, for once, had nothing to prove. A great poem! Any thoughts or comments? Education system – Apathetic at best, discriminatory at worst! “My daughter attends primary school in Wanstead, London, and I sadly understand that her case is not untypical. She has never had any support with writing at school, and has now, in year 6, developed a problem with her grip. 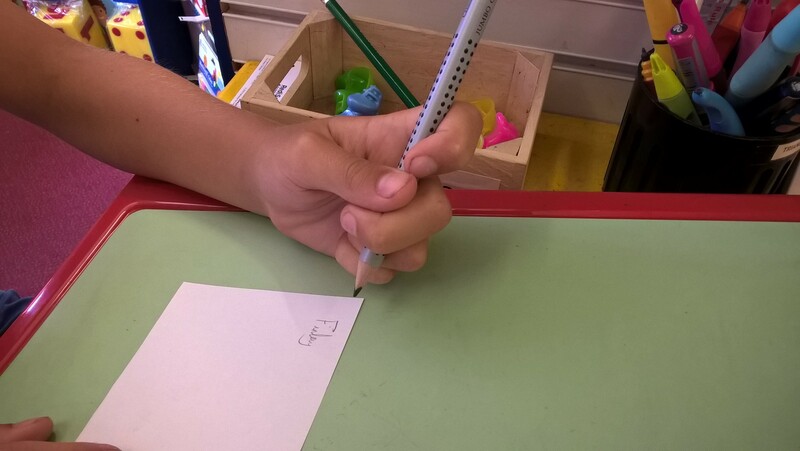 We spoke to the school and her class teacher said that she knew nothing about left handedness, and that my daughter had neat handwriting and she should expect that it hurts to write as they write more in year 6. The teacher said it hurt her hand after marking books. 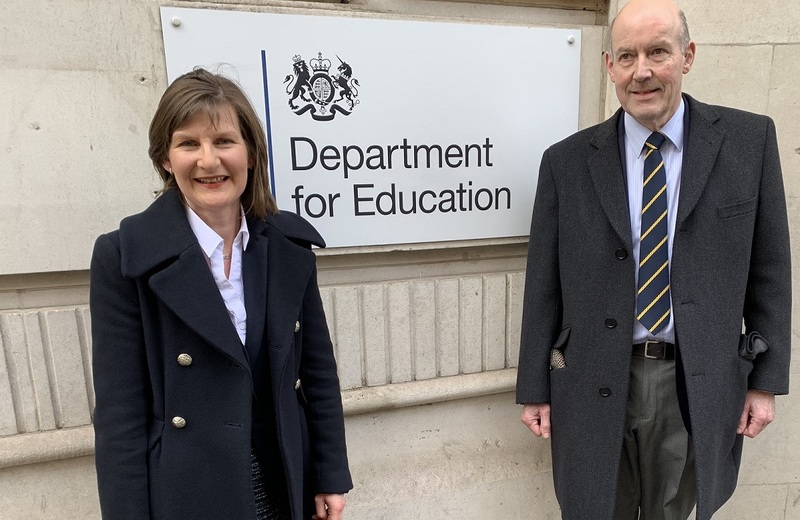 During repeated correspondence with ministers at The Department of Education, the following fallback has been used “The Teachers’ Standards require teachers to adapt their teaching to address the needs of all their pupils, whatever those needs may be”. If teachers are unable to identify the specific needs of the child, they are not going to take any action..
Hardly surprising that this teacher did nothing as “she knew nothing about left-handedness”. The teacher is not to blame – there is nothing in Initial Teacher Training on left-handedness nor in the Teacher Assessment Framework. Can this situation be easily sorted? It absolutely CAN! Simple training as part of ITT and CPD. And it’s WIN for the child, WIN for the school and WIN for the country! So, apathetic or discriminatory? Or both? And that’s an ofsted outstanding school!! I went for a meeting with her teacher. So they don’t know and don’t care. Especially as …… is the only left hander in the class. It beggars belief that there is still such ignorance! Not that it is the teacher’s fault as it is not part of Initial Teacher Training and the National Curriculum only views it as “NON-statutory” in the handwriting section! Now what would your understanding of the word “every” be? Does it mean a few, some, a lot or all? My understanding is that “every” means “all“. But if the Dept of Education has no figures on a specific group of children, whether the specific needs of those children within that group has any impact on their academic achievement, where teachers are not trained in those specific needs as part of their initial teacher training, where their particular handwriting needs are NON -statutory (for everyone else it is a Statutory requirement! ), you might reasonably come to the conclusion that the word “every” has a different meaning! Maybe it should read “the majority”? In case you are wondering, it is the group of left-handed children in our Education system I am talking about. 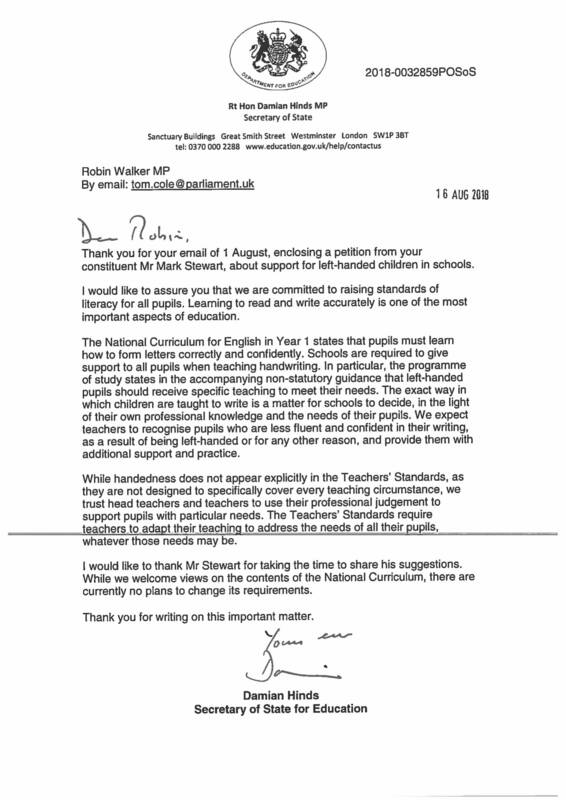 The attached letter from Rt Hon Damian Hinds MP Secretary of State states that “The Teachers Standards require teachers to adapt their teaching to address the needs of all their pupils, whatever those needs might be”. Again a fine sentiment but, in my opinion, it makes a huge and completely unfounded assumption; that is that teachers have been trained to help left-handed children, that they are aware of what to look out for and trained to act appropriately. If that were the case, why were we encouraged by Nick Gibb MP to have input into the new Teacher Training Curriculum and why do schools ask me to run training courses for their staff? If all was fine and dandy in the classrooms for left-handed children, I wouldn’t need to be writing this! A few techniques later and she has improved immensely! “I visited this amazing shop with 2 of my children today. My daughter is left handed and has always struggled with her handwriting. 10 minutes in the store with the amazing owner and a few techniques later and she has improved immensely! I am over the moon and completely gob smacked by the kindness and generosity of the gent in this store! We bought a few left handed bits and pieces and she has been writing since we got home this afternoon! Plus the lovely lady in the shop played with my 2 year old so I could spend some time with Phoebe!! Absolutely amazing service and incredible toys and left handed stock!!! Such kind words but it shows how a small amount of appropriate help can make such a positive difference! This is why helping left-handed children should be part of Initial Teacher Training and CPD in all our Primary Schools. I would like to think that no one who has any understanding of handwriting, be they parent, Early Years practitioner, teacher, SENCO, Head teacher, School Governor, education advisor, Teacher trainer, Education Minister and even Secretary of State for Education, would consider such a grip to be “good”! 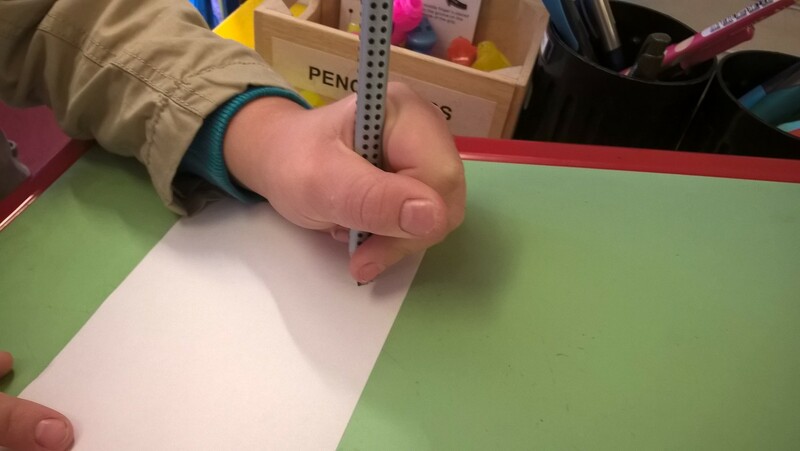 It is blatantly obvious that such a grip would mean that the child’s hand would cover their writing as they go along and would smudge, making messy writing, messy hands, difficulty reading what they have written as well as lower marks than the content would necessarily merit. If the child was trying to get their pen license, what are the chances of getting it? I could go on! What I find frustrating is that it appears that no one in authority has the inclination to say “Let’s do something about this”. It’s not rocket science, time consuming or expensive to sort, and yet left-handed children are NOT being given appropriate help. When the new Initial Teacher Training curriculum was being put together, we had some input into that. However, when published, there was not a word on left-handed children. Potentially over, 1,000,000 children and their needs are not being adequately met. If they were, children wouldn’t be coming into our shop for handwriting help! Appropriate teacher training and guidance for the children will improve the educational outcomes. Win/Win all round; I reckon so. One Million, Forty Three Thousand, Four Hundred and Twenty Five children! In 2017, according to published statistics from the Department of Education , there were 8,026,347 children in State-funded Primary and Secondary schools, State-funded Special schools and non-maintained Special schools. Let’s consider if there was a group of children within that total which equated to 13 % of the total. By the way the Department of Education doesn’t actually have any numbers of those in that group (Admitted in a Parliamentary Question/Answer) but it is generally thought that 13% is a good guesstimate. That would be 1,043, 425 children in the minority! Not a small number I suggest. In case you haven’t gathered, I am talking about “Left-handed children”. Consider a life skill like handwriting which the Department of Education states : “Handwriting is the most fundamental building block of being educated”. Now for the majority of the children (6,982, 922), there is a statutory requirement within the National Curriculum that schools help them with their handwriting. However, for the 1,043,425 children of the different group, it is NON statutory! Would you be happy either being one of the minority children or their parent/s in that situation? How might such inequality affect the child’s educational achievement/outcomes? Why are the specific teaching needs of that group not a requirement as part of Initial Teacher Training? Why has the Department of Education not collected such figures on that minority group? How can the Department of Education talk with any authority about the needs or otherwise on that minority when they have no idea children they are dealing with? Isn’t it about time some action was taken to improve the situation for the 1,043,425 children? Is our Education system failing left-handed children? Above are a couple of grips of children who visited my shop last Saturday. Age 10 and 11 years old and having real problems with their handwriting. They can’t see what they have just written and, when using a pen, smudge their writing. Neither had received any help at their respective schools. This is NOT the fault of the teachers, it is the fault of the system which doesn’t appreciate the importance of left-handed children being shown how to get a good handwriting technique. 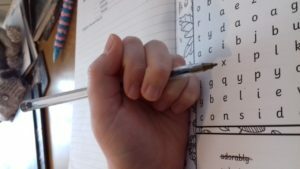 This situation is not helped by the fact that, in the current National Curriculum, handwriting for left-handed children “should receive appropriate guidance”, not “Must” (statutory requirement) as stipulated for right-handed children.Whilst “should” does imply some degree of requirement, it is NOT the same as must and I would argue that left-handed children need more help with their handwriting than right-handed children. It is not difficult, time-consuming or expensive but can make such a difference to the academic achievement of the child. If teachers are not aware and able to respond to such needs, surely something needs to be done. Yet Nick Gibb,MP Minister for Education, is not prepared to change the wording to make it a statutory requirement. To compound the failure of the system, the Department of Education freely admits that its “Does not collect information of the numbers of pupils who are left-handed and therefore has not made an assessment of their levels of academic achievement”. An astonishing admittance of ignorance on what is probably the largest minority of the whole school population. How can the Department of Education speak with any authority when they admit to such ignorance?! 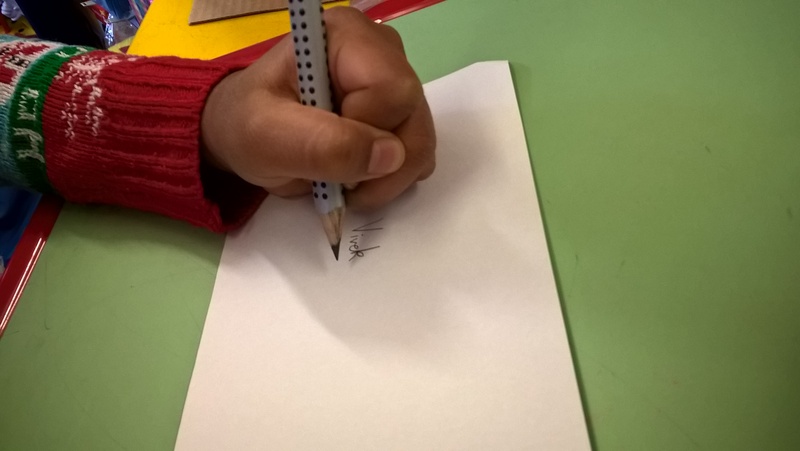 To improve the handwriting of left-handed children will not only help the child achieve, it will improve the schools standards/results and by implication will benefit the country – simple!